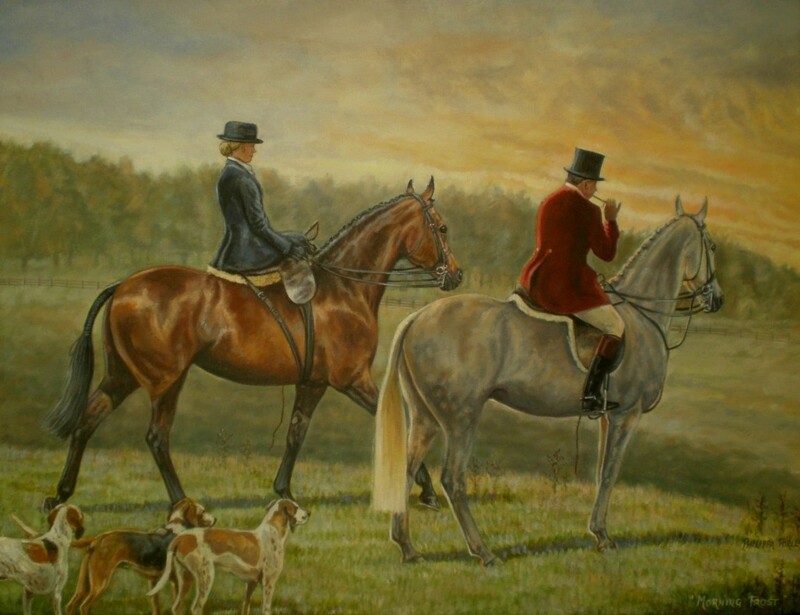 Yorkshire based Philippa is an award winning member of the Society of Equestrian Artists and has been painting all animals professionally since graduating with an honours degree in 1995. 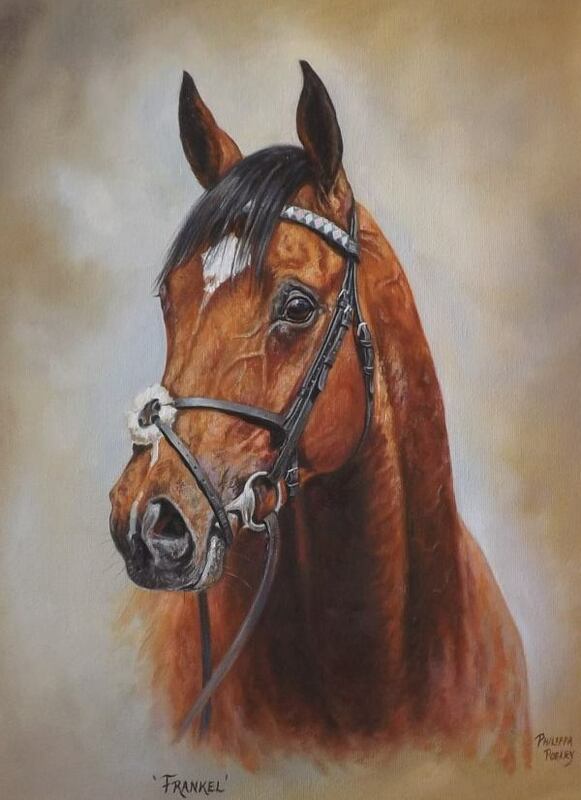 Living with successful racehorse trainer husband, Philip Kirby (www.philipkirbyracing.co.uk) and their two daughters Isabella and Indiana, much of the artists working time is taken up with commissions, and both her Originals and Limited Editions sell extensively worldwide. 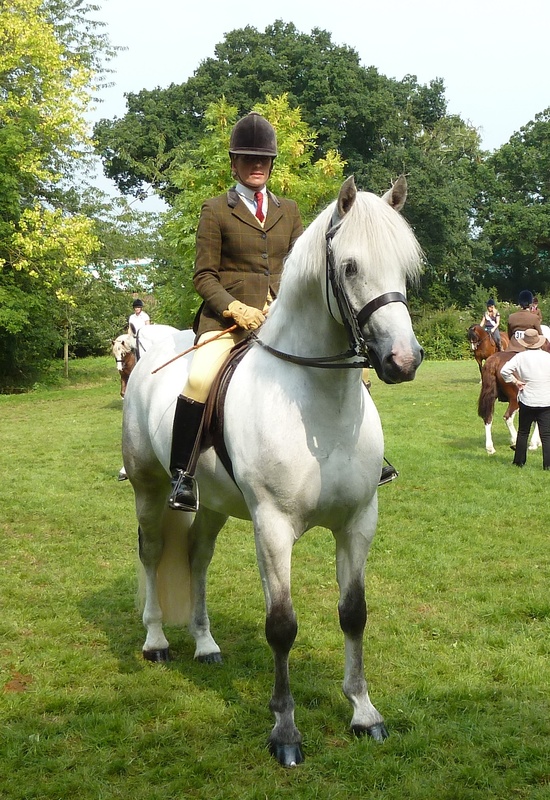 Competing with horses all her life, Philippa is a show judge at national level and riding or producing, has won at the three major showing finals: The RIHS, Horse of the Year Show and Olympia. In 2011 she produced her previously unshown 5 year old Connemara ‘Trail Blazer’ to qualify for the RIHS and HOYS in his first season under saddle. 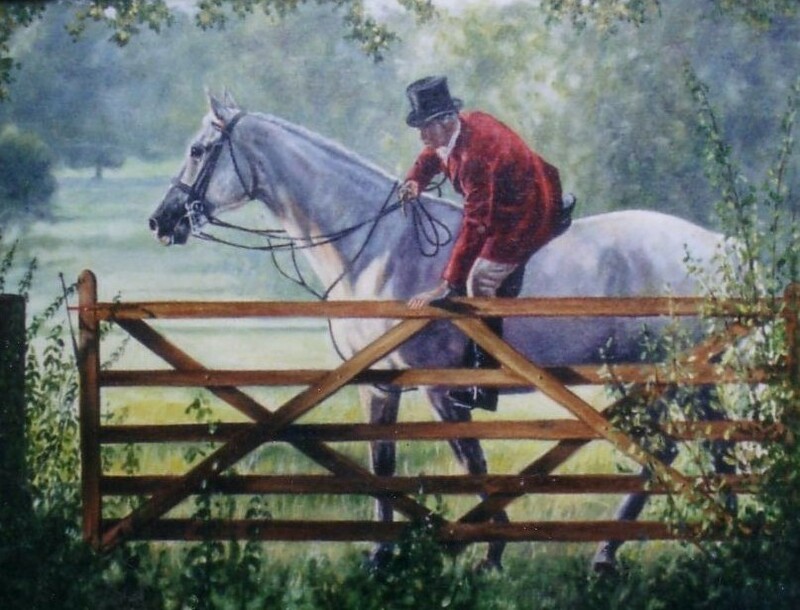 These experiences and a fascination with conformation and buying and producing young show horses from the rough has given the artist a keen eye for capturing the correct detail, individualism and character when painting the difficult subject of horses. Whether in oils or pastels, from the smallest Jack Russell to the countries finest Equine stars, Philippa pays the same attention to detail and gives all customers the guarantee of only paying for the finished painting if 100% delighted. 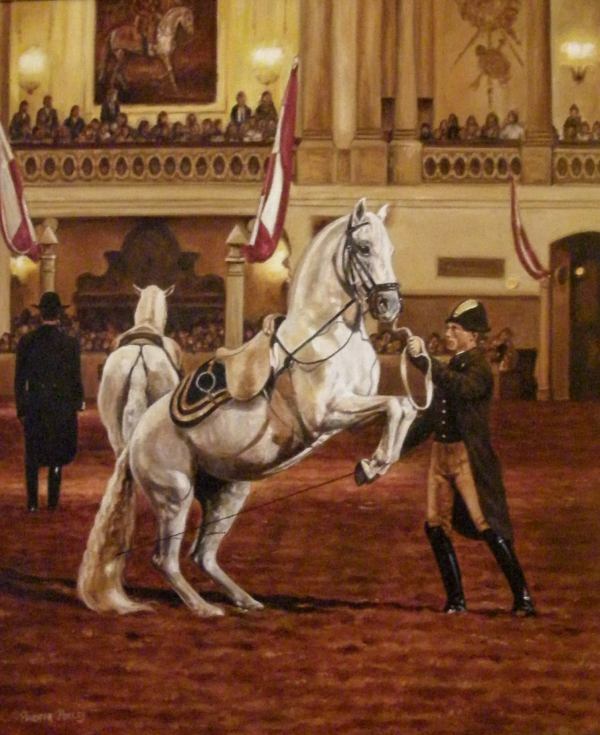 Highlights of her artistic career to date include presenting HM The Queen in person with a painting of her two champion Highland ponies at Windsor castle in 2004 (pictured). 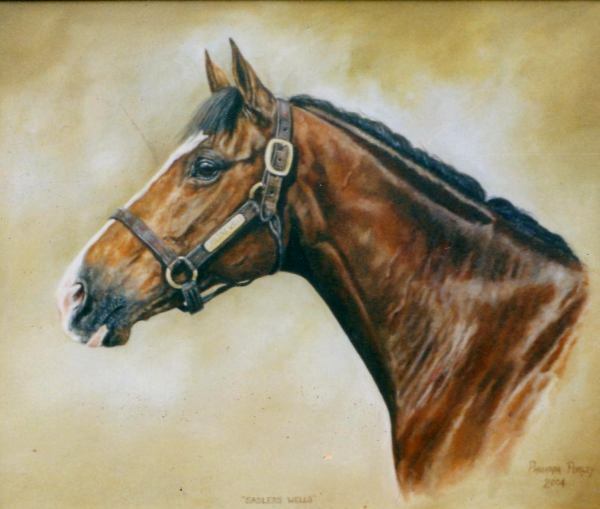 She was also thrilled that when auctioned, two of her racing originals realised impressive sums of money for charity: “Best Mate” making £13,500 and “Sadler’s Wells” £8,500. 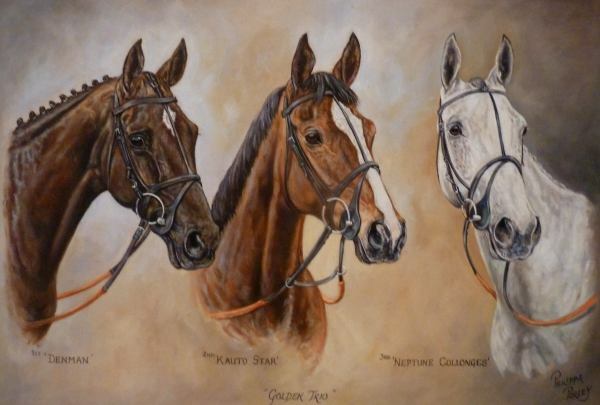 Notable commissions include four Cheltenham Gold Cup winners, the latest of these being the wonderful “Denman”; Grand National Winner, “Red Marauder”, Olympic dressage stallion “Dutch Gold” and countless of the UK and Australia’s leading show ponies and horses. 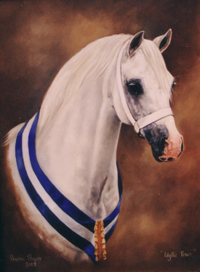 One of the most notable recent show horse commission is four times HOYS Cob of the year, ‘Hallmark’. The artist has used many different mediums although she prefers to use oils if allowed the choice. 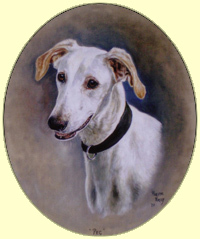 Many of her earlier works were pastel, and she is still happy to undertake commissions in this medium, examples of which can be seen in her gallery. All work is taken from your own clear photographs – these can be posted or emailed, and your commission can then be discussed fully. Please do book a place early for a special present, as Philippa works several months ahead, especially near to Christmas time. 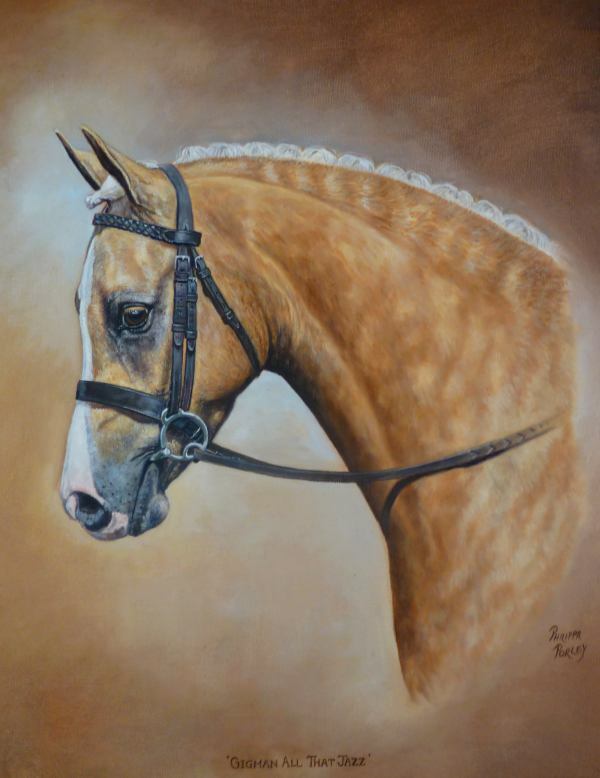 Each year at the B.S P.S Summer Championships, Philippa presents a large oil head portrait to the BSPS Winter Show Hunter Pony ‘Portrait’ Champion, a prize that is much sought after and has been won by many top ponies over the years. Philippa has a selection of Limited Edition prints for sale. To see and buy any of Philippa’s Limited Edition prints please click on the L.Ed prints tab above. 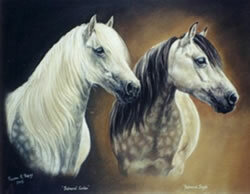 Commission Prices start from £250 for pastels. £400 for oils. Below are a selection of the artists favourite recent works. To contact Philippa for a colour brochure and price list price email prporley@btinternet.com or call (01287) 660444. 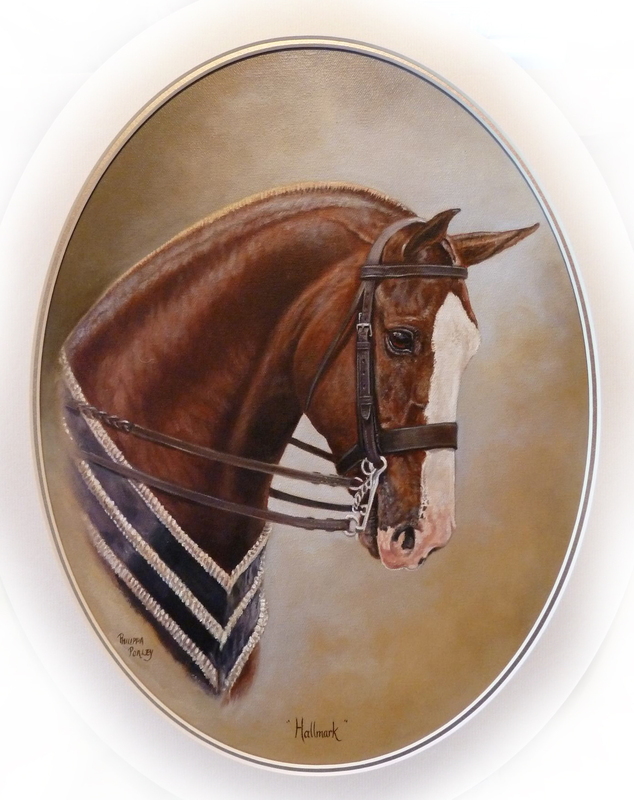 The artist is also known for producing extra plaits and forelocks for the countries top ‘hair challenged’ show horses and ponies in the UK – please visit the ‘contact page’ to send an enquiry. A ‘hobby’ sideline that has blossomed somewhat! Copyright © 2010 Philippa Porley. All Rights Reserved. E&O Exempt.